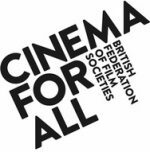 Our 2016/17 season launches on Friday 23rd September in the Mechanics with a very special event: Yorkshire Film Archive have curated a 90 minute screening of local archive films. Presented by Steve Morley with commentary. We’ll also be presenting our new look as the Electric Theatre Cinema! Come along and hear more about the 2016/17 season, become a member, and learn about the history of the original Electric Theatre in Marsden. 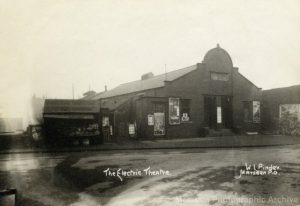 The header photo for this post is of the original Electric Theatre in Marsden, brought to the village in 1911 by Thomas Leyland. Photograph supplied by Christine Martindale from the family’s personal collection. 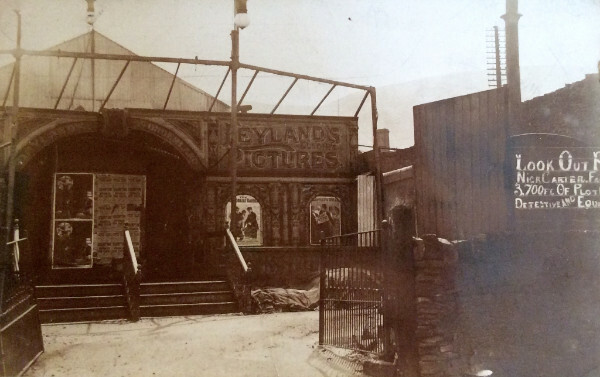 Below is another image of the cinema, courtesy of the Marsden History Group website. A really interesting site to look through.